55 YEARS - HOLY, MOLY UNBELIEVABLE!! Veteran of Foreign Wars Remembrance Wall, 1127 NE Walnut St. Plaques will be dedicated for classmates who were not honored for their Vietnam War service at the 50th. 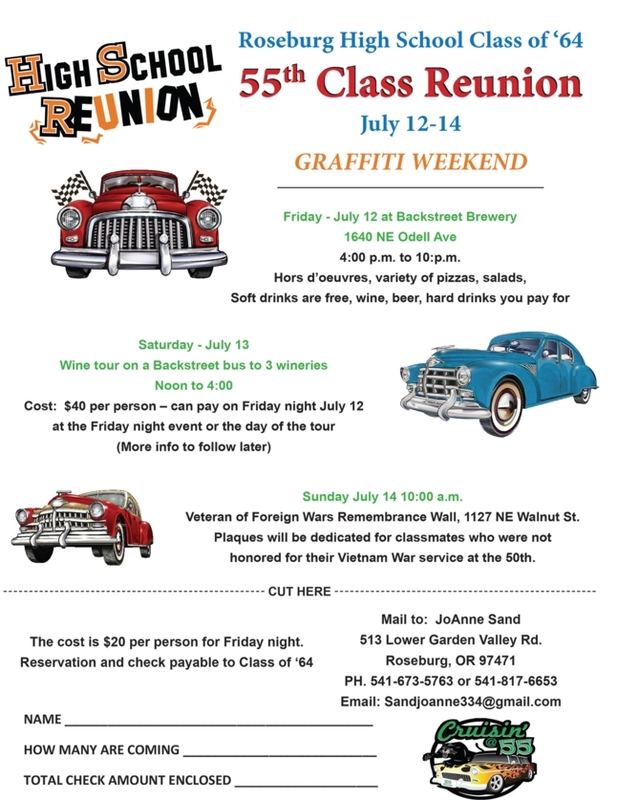 Below is the flyer that was sent out to everyone about the 55th reunion. Watch this feature for added information about the reunion weekend.